Change is happening in every industry. Wallets are no exception. Slimfold wallets offer some of the highest quality, durable and strong wallets on the market. They are also some of the most revolutionary wallets with their materials and their look. 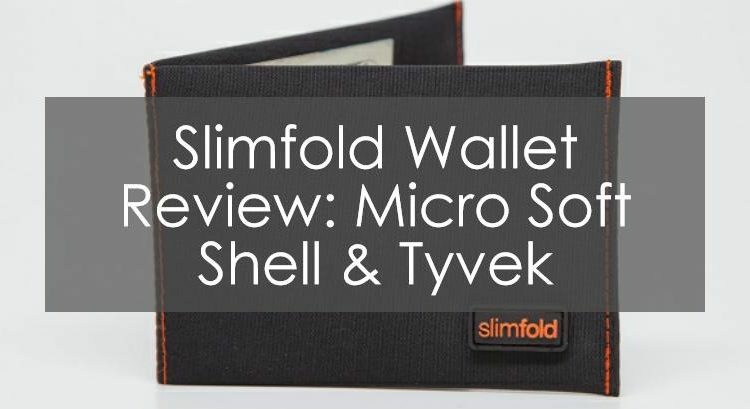 This Slimfold wallet review will give some basic background on the company, including their history and how they got started and then it will go on to introduce two of their designs complete with pros and cons. We will conclude with a wrap up of their products and tell you where you can go to learn more about this wallet as well as other styles of wallets. The Slimfold wallet company has a story similar to Steve Jobs as both started as a backyard project. One day the founder of this company got fed up with the bulky, brick in his back pocket and decided that he wanted a wallet slim enough to fit into his front pocket along with this phone. 100 prototypes later and he arrived at the world’s thinnest wallet made with high quality, hand-sewn materials. After selling the wallets on Etsy and at craft fairs in San Francisco for a few years, sales started to gain momentum and the founder needed more help. He then hired additional help from the part time seamstress and took his company to the next level. Through two Kickstarter campaigns, he raised over $150,000 to complete two of the styles. New styles are coming soon so be sure to check their website. Still interested in this company and their radically different approach to wallets? Then keep reading to learn more about two of their designs. This wallet may prove to be a crowd pleaser since it has the traditional bifold design, but is only about 2 mm thick and weighs about 1 Ounce. This wallet is not the usual bifold wallet that your grandparents carry around. It’s made out of Tyvek, which is a material made by DuPont. Basically, it’s overlapping strands of plastic that are randomly placed, making it extremely strong and durable. Actually, it’s the strongest wallet on the market! This wallet was made possible with crowdsourcing through Kickstarter, so the presence of this wallet is a testament to the new ‘Connection Economy’. The pros of this wallet are many. For one, the unique material ensures that this wallet will stand up to any challenge. It’s nearly impossible to break, even if you try to cut it with scissors! 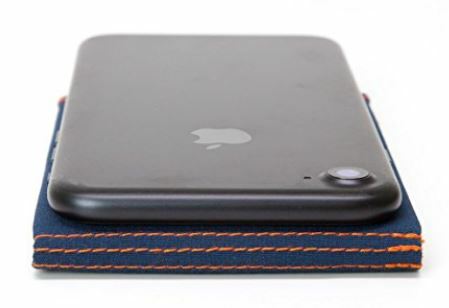 Also, the extreme slimness of the wallet ensures that you won’t feel like you are carrying a rock in your back pocket. In fact, you might even forget that you are carrying a wallet since it’s so thin! It is also extremely affordable regarding the price. There are some drawbacks of this wallet. For one, the unique material may be a turn off to some people who are drawn to the feel and smell of leather. Also, the ultra slimness may be a deterrent for some who would be scared that they would misplace this wallet. This wallet boasts the standard bifold design and incorporates two interior card holders, one of which includes a Mylar window for one of your cards. A money pocket takes up the rear of the wallet. Hidden inside the cash pocket are two more interior pockets, which can be used to store some more cards, for a total of about 8-card storage. For more on this wallet check out the article called ‘best slim wallets’. This wallet is fabricated from strong and durable microfibers, so it can easily stretch to hold more cards, but will go back to its original shape once the cards are removed. The microfibers are also water repellant, so being caught in a rainstorm won’t soak all of your bills. The wallet is only about 5 mm thick so it can easily fit into any one of your pockets without causing a bulge. Although this wallet has the standard bifold look, it’s naturally so thin that even minimalist wallet lovers will be attracted to it. 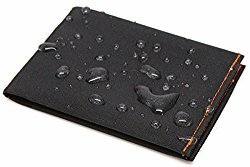 The unique look and feel of this microfiber wallet aren’t for everyone. If you’re into the traditional leather wallets then you should look at other brands. Hopefully, you learned something about Slimfold as a company of high quality, stylish wallets. You can always reference above if you want to know about the two most popular styles that this company offers. If you don’t think that Slimfold is the company for you, then be sure to reference our review of general slim wallets so that you can get a larger perspective. Another reference that you can check out is our review of the standard bifold wallets.